Alright, so I know it’s Prime Day and all, but Samsung is back to hosting one of those ridiculous trade-in deals where they’ll give you an instant $400 off a Galaxy S9 or Galaxy S9+, plus they are tossing in a free 64GB microSD card, because why not? This is the best Galaxy S9 deal yet. At $400 off, you could get into a Galaxy S9 for $319.99 or a Galaxy S9+ for $439.99. I mean, come on, that’s nuts. How does this work? It’s pretty simple, actually. 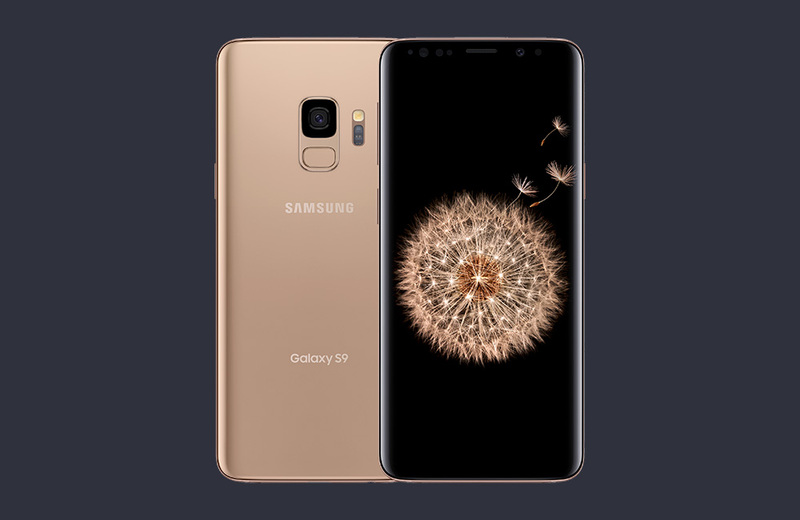 Samsung wants you to trade-in whatever phone you currently have and will give you an instant discount on a Galaxy S9 or S9+ for the value of that phone. Of course, the phone you have determines the instant discount, but thankfully, Samsung has a bunch of phones listed worth $400 and $300. Also, if you trade-in any phone at all, they’ll give you a straight $200 off. The list of $400-off phones for a Galaxy S9 or S9+ includes the Galaxy S8, S8+, S8 Active, iPhone X, iPhone 8, and 8 Plus. If you don’t have those newer phones, the $300-off list includes any S7 phone, any iPhone 7, LG’s V30, and Google’s Pixel 2 line. 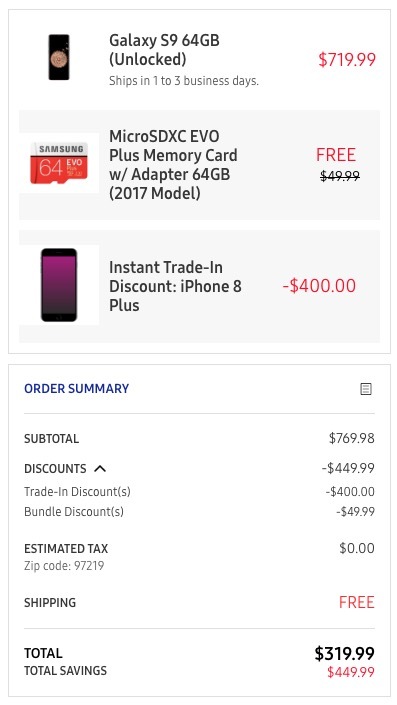 So Samsung will give you up to $400-off instantly today if you tell them that you are trading in one of those phones. You pay the discounted price today, not later. Then, once your new phone arrives, you toss your trade into the return box and send it back. Once Samsung has it, they’ll “OK” it and you’ll be on with your life. That’s it. DEAL: Essential Phone is $250 for Prime Day!